Think about your local roads and how frustrating it is when they aren’t maintained. If you’re a driver with your own vehicle, the Road Information Program estimates that poorly maintained roads cost you around $400 every year. Maybe you can’t directly do much about your local roads, but there is a lot you can do about your own pavement to avoid similar headaches. Whether it’s a parking lot, sidewalk, or driveway, pavement takes a few hits in the winter. Dallas asphalt and concrete takes less of a beating thanks to the warm Texas climate, but even the occasional frost and rain can cause some damage. 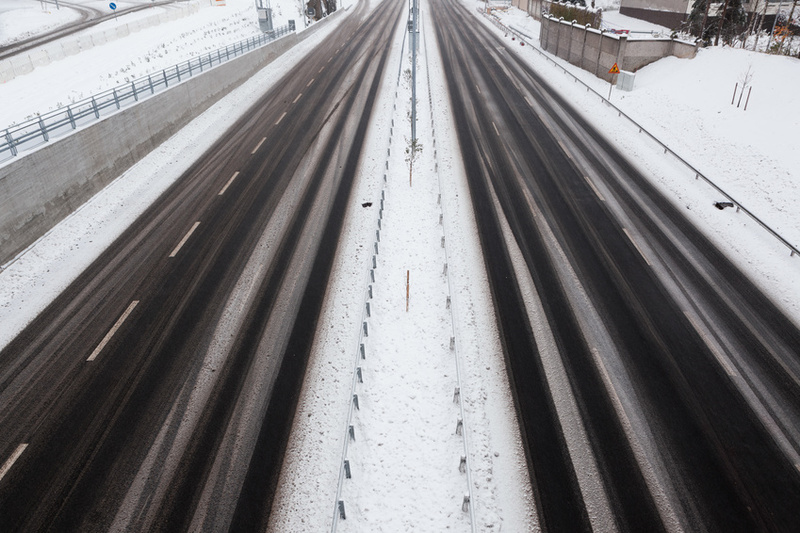 On top of that, knowing safe practices for your asphalt or concrete in winter is always helpful. Here are a few simple things you can do to protect pavement when cooler, wetter weather hits. Check for drainage issues. If water pools up in certain places it’s not supposed to, that could spell some serious wear and tear on your pavement over time. Parking lots with easily clogged drainage systems could especially benefit from a power sweeping to clear away the debris of summer and fall. Be choosy about what kind of ice melt you use. For example, calcium- or magnesium-based ice melts are gentler on asphalt and concrete. Sodium chloride (rock salt) and potassium chloride can damage pavement. Clear any ice and snow quickly. The longer ice or snow are allowed to accumulate on pavement, the more damage they can cause. Letting ice and snow sit can also cause them to become slushier or icier, which is frustrating to move. Keep your tools up to par. Chipped shovels can scrape and damage pavement, and snow blowers that weren’t tuned up in the fall can cause all kinds of trouble. A tip from the professionals: if you really want to see how the winter affects your pavement, take a few photos before winter and compare them to the state of your pavement in the spring. Looking at what kind of changes or damages occur can alert you to what you should prioritize before next winter. Remember, repairing and maintaining is always more cost effective than replacing!